CityFox is scheduled for May 21 at 111 Gardner Ave. But they don&apos;t have a liquor license yet. EAST WILLIAMSBURG — Organizers of a massive electronic dance music party were busted for operating without a liquor license as they hosted the $70-a-ticket event, according to police and attendees. The Brooklyn Mirage, a massive pop up event space on Gardner Ave. in East Williamsburg, held its first party this Saturday — The CityFox Experience. The group is also known for a botched attempt to host a rave last year in a Greenpoint warehouse that is a SuperFund site. That event was shut down because of safety concerns, Gothamist reported. Police soon confiscated Saturday party's alcohol, according an 11 p.m. tweet from the 90th Precinct. The Brooklyn Mirage had begun the process of applying for a liquor license just a few days before the first scheduled party, DNAinfo New York reported last week. 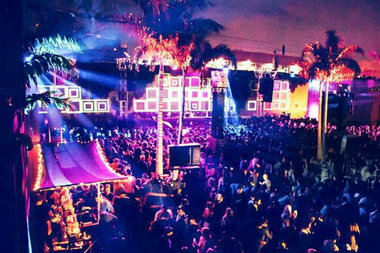 Last summer, The Brooklyn Mirage set up shop nearby at a lot at 99 Scott Street and was granted 27 permits to sell alcohol despite clear rules outlined by the State Liquor Authority that only four event permits are allowed in a year at any given location. Sources said they got the permits by applying for catering licenses instead of liquor ones. The State Liquor Authority didn't return a request for comment about Saturday's event. The Brooklyn Mirage and CityFox also didn't respond to a request for comment. Following the booze bust, frustrated party-goers took to the event's Facebook page to vent. "What a shame, no alcohol, lack of planning, another massive fail by The Cityfox Experience," Facebook user Jeff Lin wrote. "#getittogether #whack"
Brooklyn Paper first reported the bust.